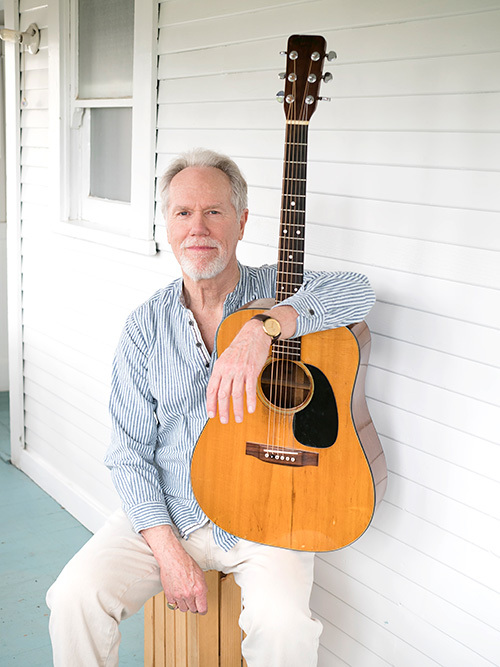 2010 GRAMMY Winner (Best Traditional Folk Album) for High Wide & Handsome: The Charlie Poole Project (Two previous GRAMMY nominations: I'm Alright, 1985 and More Love Songs, 1986). Best Album of 2009: High Wide & Handsome per NPR's Ken Tucker (Fresh Air & Entertainment Weekly magazine). High Wide & Handsome named among the year's best per Village Voice, No Depression, FolkWax and fRoots. ﻿Songs covered by Johnny Cash, Bonnie Raitt, Earl Scruggs, Mose Allison, Big Star, Freakwater, Norma Waterson, Kate & Anna McGarrigle, Rufus Wainwright. ﻿Film acting credits include: Judd Apatow's Knocked Up (for which he also recorded the soundtrack) and The 40-Year-Old Virgin; Christopher Guest's For Your Consideration; Cameron Crowe's Elizabethtown; Martin Scorsese's The Aviator; Tim Burton's Big Fish; 28 Days alongside Sandra Bullock, Viggo Mortensen and Steve Buscemi; Jacknife alongside Robert De Niro and Ed Harris; Neil Simon's The Slugger's Wife. ﻿Television acting credits include: Parks and Recreation (w/ Amy Poehler); Undeclared (w/ Seth Rogen & writer/producer Judd Apatow); Grounded for Life; Ally McBeal; The T.V. Show (w/ Rob Reiner, Christopher Guest, Harry Shearer, Michael McKean, Billy Crystal) where he played keyboard with the early Spinal Tap, which made it's first appearance on this program; a recurring role on M*A*S*H and a role as the original musician/sidekick on The David Letterman Show.